Domestic violence is a serious issue and I’m sure many of us have either dealt with it at some point or maybe have a friend or family member who has. I’ve known a few women in my life who have dealt with it first hand and had to seek help to escape and start over. Thankfully, they were able to rebuild their lives thanks to support of family, friends and community. On any given day in Canada, more than 3,000 women (and their 2,500 children) are living in an emergency shelter to escape domestic violence. Today I wanted to share with you an important program called Hosting for Hope whose goal is to support these community programs that help women rebuild their lives after leaving a bad domestic situation as well as helping local women’s shelters. Hosting for Hope is a fundraising partnership between the Canadian Women’s Foundation and HomeSense and Winners. I was already familiar with both HomeSense and Winners and have shopped there lots for home decor and clothing. 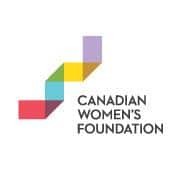 The Canadian Women’s Foundation helps women and girls by empowering them to get out of violent situations and poverty and work on rebuilding their lives. Since November 1, both Winners and HomeSense are offering a selection of festive holiday merchandise where a portion of the proceeds from each sale goes towards the Canadian Women’s Foundation. All the items are reasonably priced and under $20. You can help by purchasing one (or more) of these products and know that you’re supporting a worthy cause. I love the wide selection of products and many I could use in my house and also would make great gifts. Plus, you can’t beat the prices! Which one is your favourite? I’m hard pressed to pick a favourite because I want just about everything….for myself! I’d buy a few things as gifts too. The scarf and mitts would be perfect for my daughters and the puppets would be cute for my little niece. If your workplace does a holiday gift exchange and you need a gift under $20, pick up one of these Holiday for Hope products. 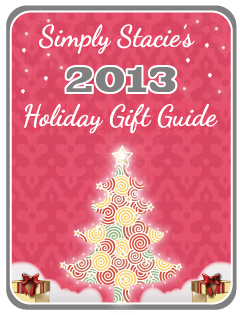 You’ll be able to cross some items off your shopping list and support a wonderful foundation. The Scarf and Mittens Sets are always lovely gifts. I love the looks of that plush owl. I LOVE those mitts! The grey, white, and red go together perfectly! I love the plush owl…..so cute! The scarf and mitts are really nice. I’d love to stay warm this winter in those! The plush owl is super cute. The products are all very nice. It’s great that Winners and Home Sense support this great cause. I love the Plush Owl! I love the stuffed owl. Very sweet. I really like the Mini Xmas Tree. Those mittens and scarves look so warm! I’d love those! The plush owl is super cute! I’m from the USA so I don’t qualify for this sweepstake but I am someone that has benefited by a woman’s shelter after an abusive marriage. When safety became an issue the kindness, love and support are what I needed to take those first few steps out of a bad marriage and into a new life for my daughter and myself. There were group sessions as well as private with a trained therapist and staff close by around the clock. When I found a new home to start my new life I was given items that I needed to start out and therapy was offered even after I was living on my own. Domestic abuse takes away our self confidence and I don’t think I ever have or ever will feel that bad about myself as long as i shall live. When I can I give back to these organizations to help other woman I do because I have walked in those shoes and pray no other person will have to do it alone. Been there before, my heart goes out to all of them, more shelters and help are needed desperately, where I live there is an eleven week waiting list for a place at the shelter and that is shameful! The scarfs and mitts! and candles of course. Those sock puppets would be a perfect stocking stuffer. I like the Scarf and mitts. The plush owl is adorable!